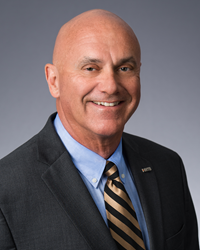 Fred Craig, Jr., PE, joined HNTB Corporation as business development leader and vice president. He is based in the firm’s Washington, D.C., office. Craig’s primary responsibility includes working with HNTB’s clients to ensure successful delivery and satisfaction on their complex infrastructure projects and programs. Craig has more than 35 years of expertise that includes public-private partnership project development experience, strategic planning, business development and client relations in the public and private sectors. His program management experience includes implementation of more than $3.5 billion in projects over the last 15 years. Some of these high profile projects include the South Capitol Street Reconstruction, Nationals Ball Park, Brent Spence Bridge in Ohio, and Maryland’s Purple Line P3 Light Rail Transit Operations and Management Plan. HNTB has been growing its presence in the District and helping shape its infrastructure since 1949. The firm recently opened a new office on “M” Street. HNTB has helped create new jobs and opportunities for residents of the District with training programs centered on infrastructure projects as part of its role as construction manager for the signature 11th Street Bridge program. Most recently, Craig served as pursuit director for a transit firm and a regional design-build P3 manager for another consulting firm. Craig is a registered professional engineer in multiple states. He has received numerous awards for innovation in project design, finance and delivery. Craig earned a Bachelor of Science in civil engineering from Duke University. HNTB Corporation is an employee-owned infrastructure solutions firm serving public and private owners and construction contractors. With more than a century of service in the United States and more than 60 years in the mid-Atlantic region, HNTB continues to grow in size and service offerings to clients from offices throughout the mid-Atlantic region, currently employing more than 180 full-time professionals. HNTB understands the life cycle of infrastructure and addresses clients’ most complex technical, financial and operational challenges. Professionals nationwide deliver a full range of infrastructure-related services, including award-winning planning, design, program management and construction management. For more information, visit http://www.hntb.com.